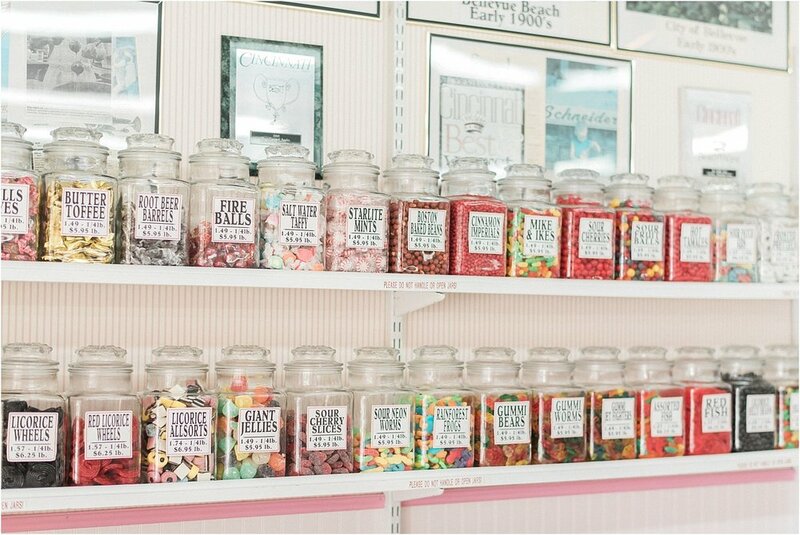 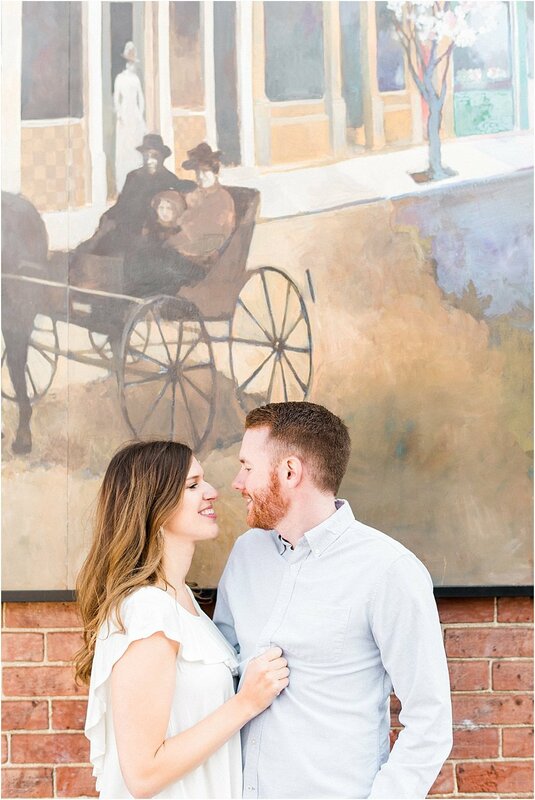 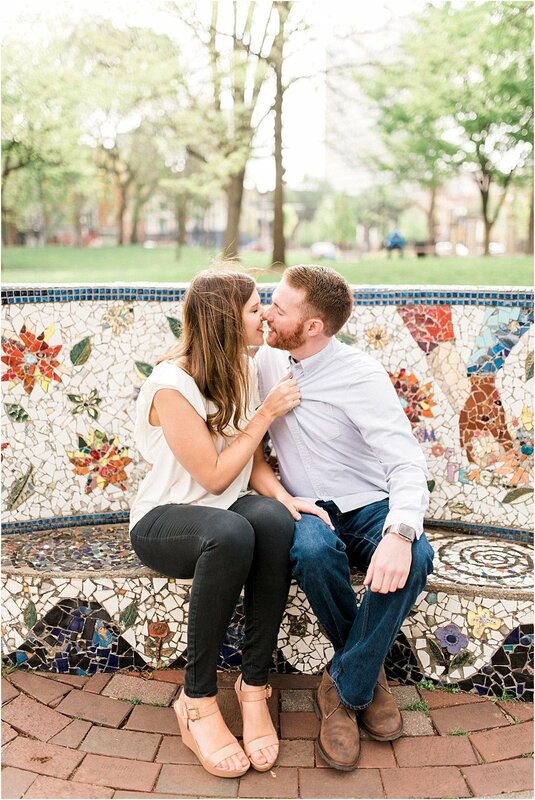 We always have a blast traveling to capture amazing moments with our couples, and our weekend trip to Cincinnati to meet up with Amber and Nathan was no exception. 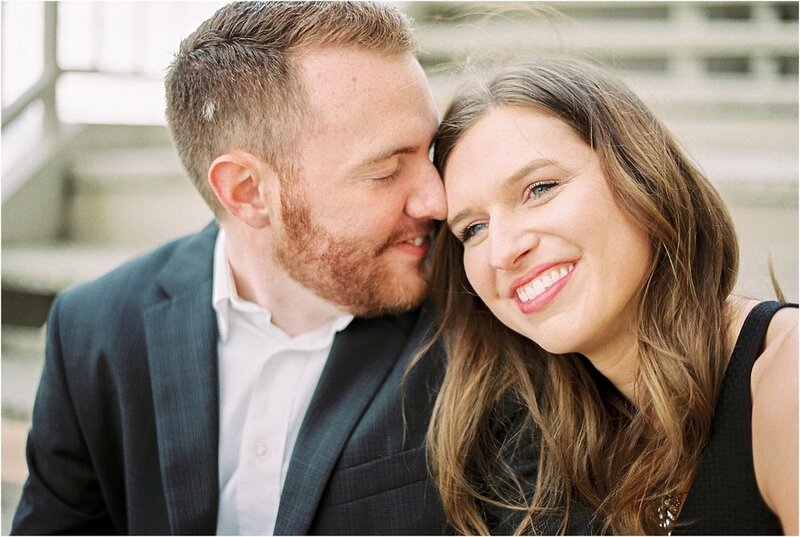 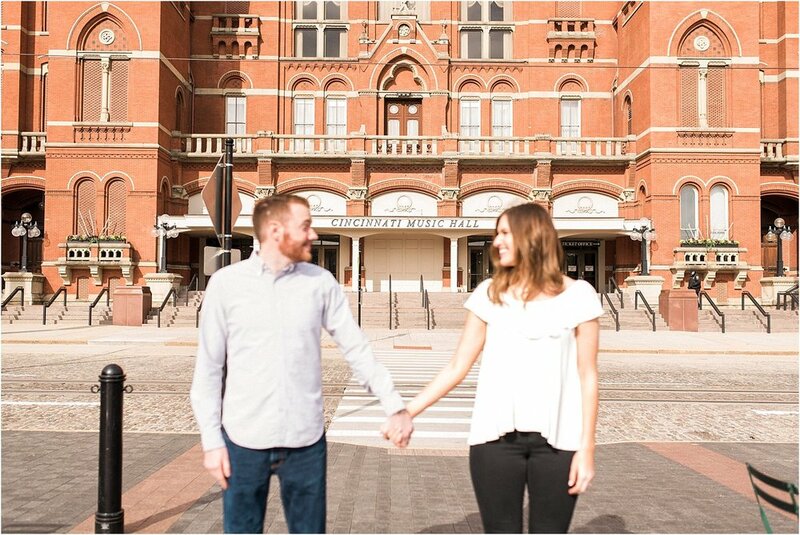 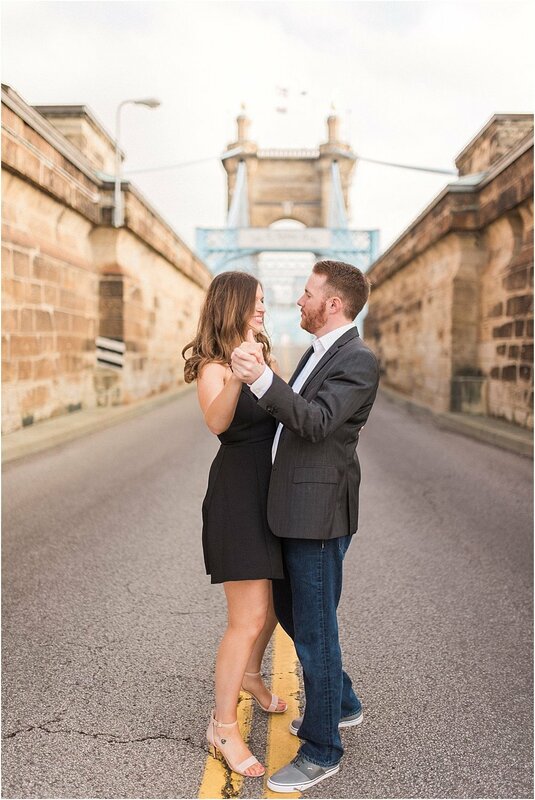 The couple decided on two primary locations for their engagement session, the John A. Roebling Suspension Bridge and Cincinnati Music Hall, both sentimental for these two. 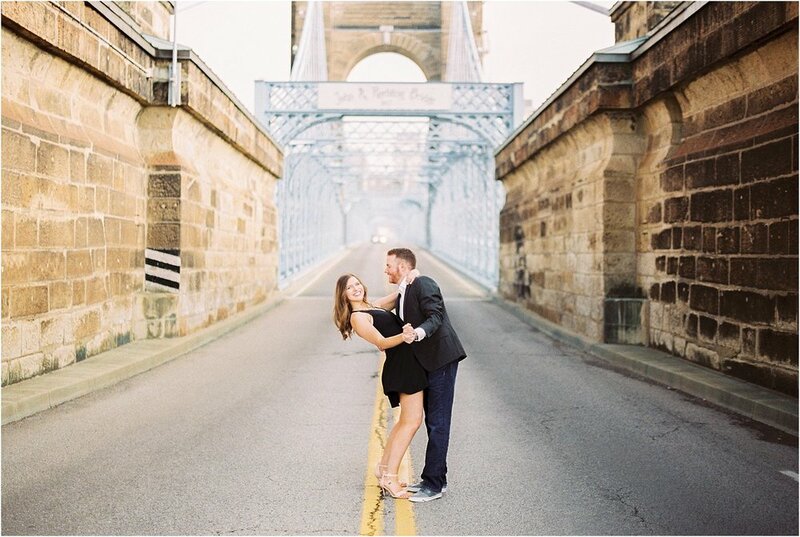 How could we not love the blue bridge hanging over the Ohio River and surrounded by some of the city's most beautiful sites? 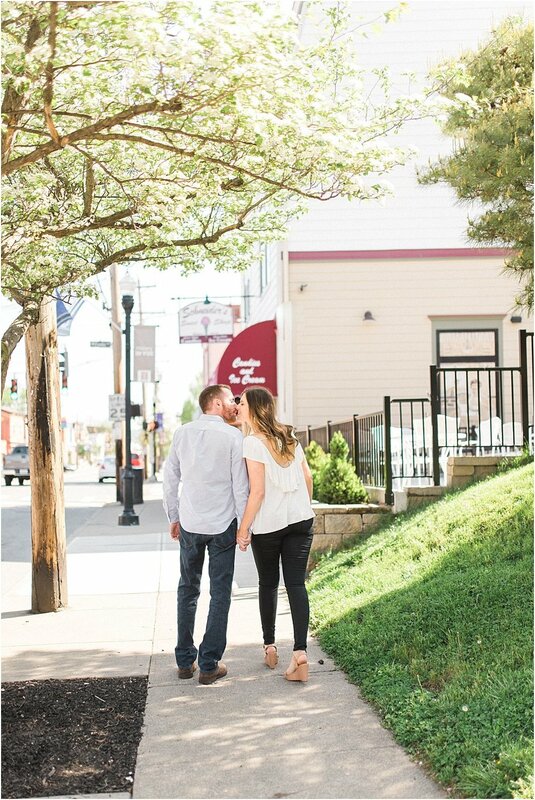 Our favorite moments getting to know this couple involved a series of shots where we were all moving in and out of the street for passing cars, as the couple laughed playful and danced between the large brick entryway. 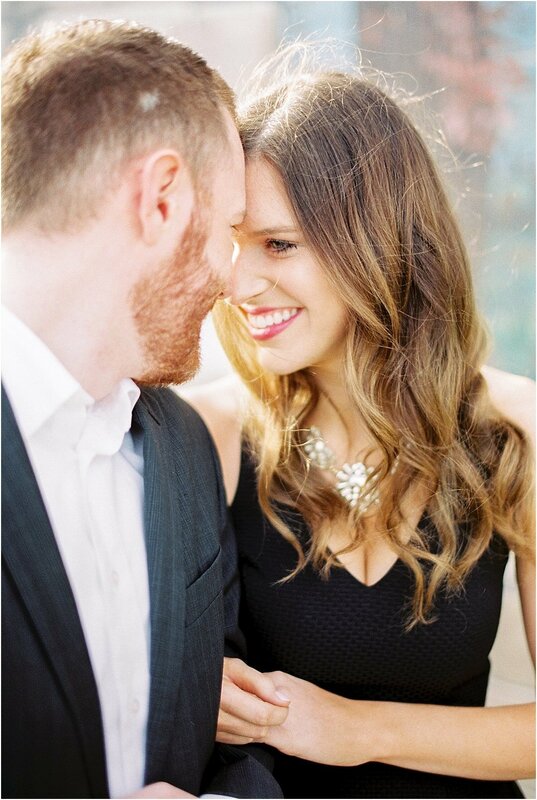 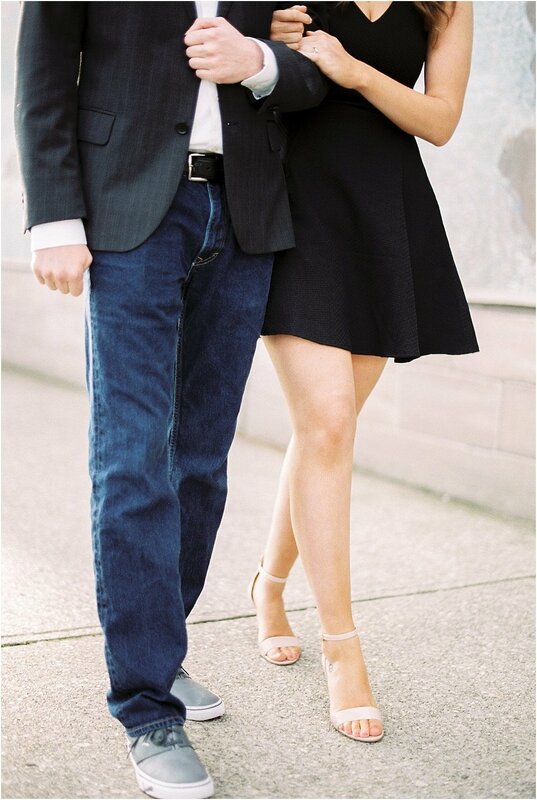 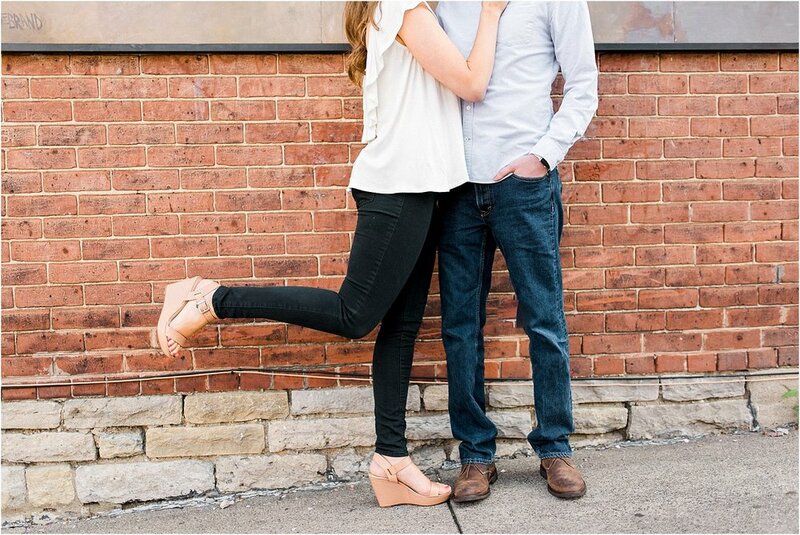 These two were game for anything, and we appreciated their perfect styling and true naturalness. 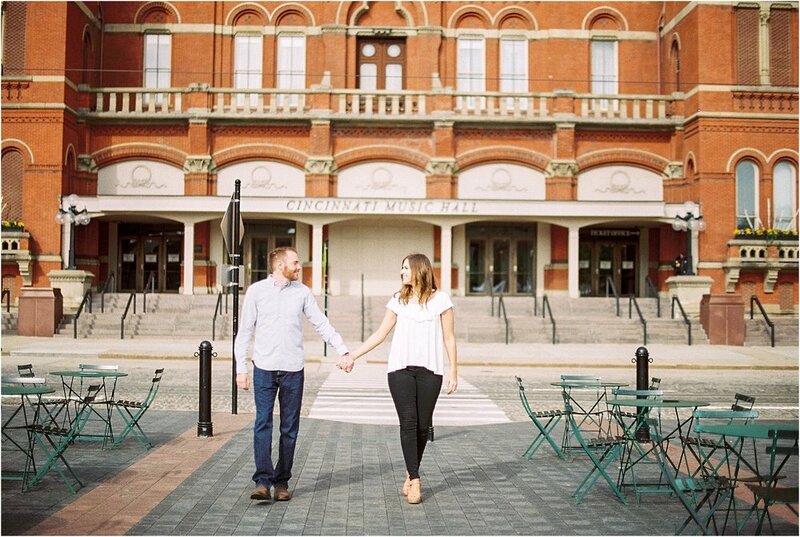 Music Hall, just beyond Washington Park, provided an elegant backdrop for some additional city shots, but we really enjoyed spending time over ice cream with Amber and Nathan at a local candy store, Schenider's Sweet Shop. 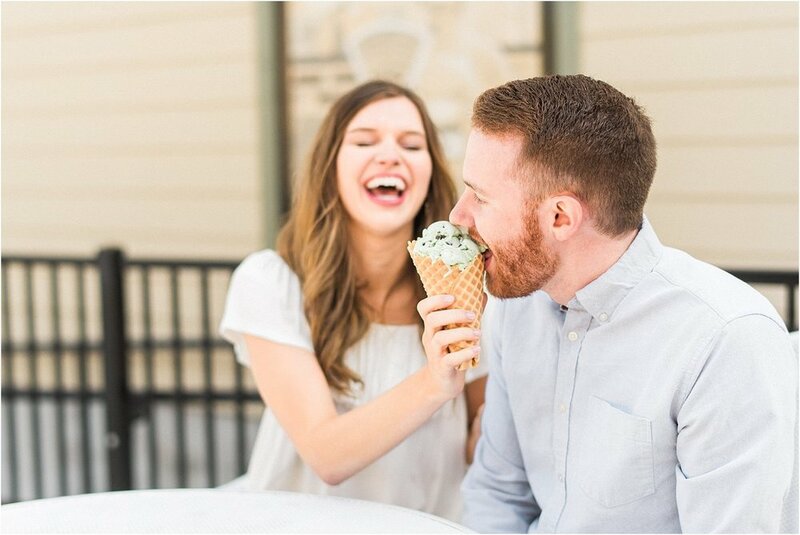 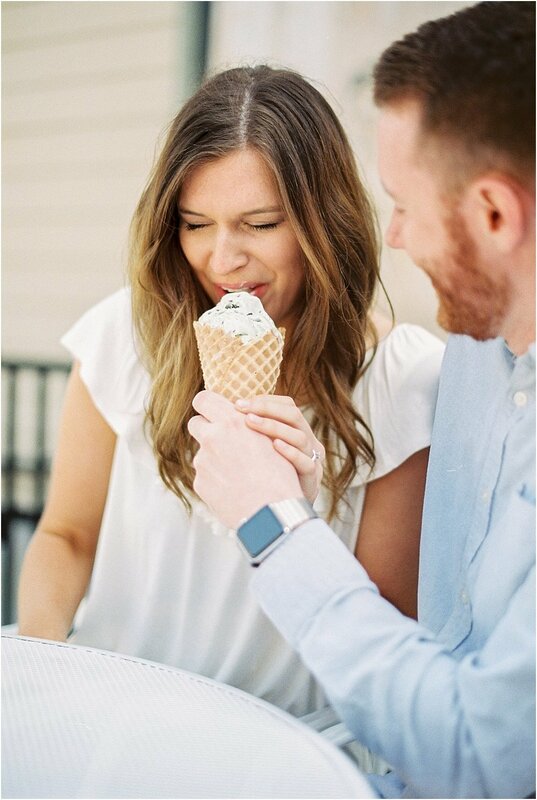 These candid moments were so much fun to experience with the two, and we could truly see their love and joy as they laughed and shared a cone of mint chocolate chip. 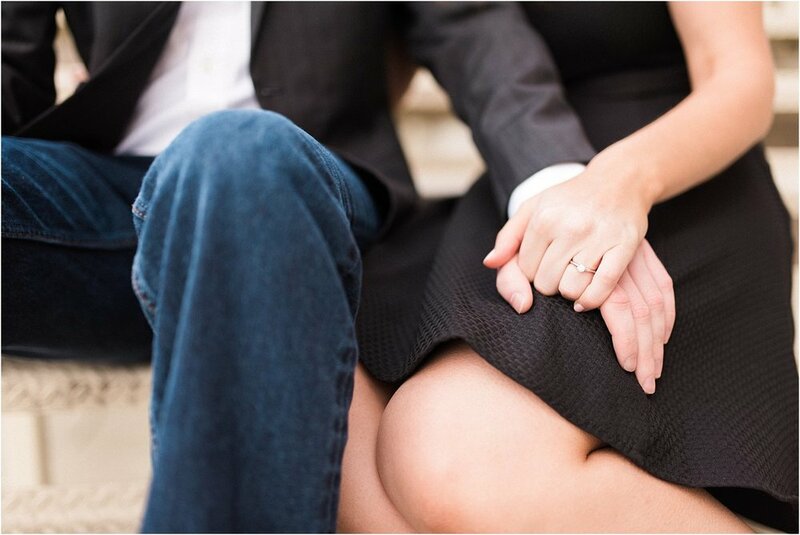 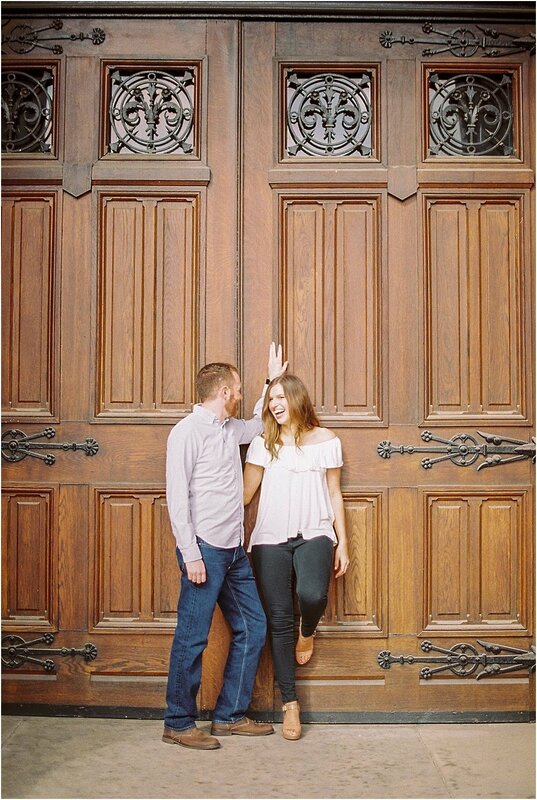 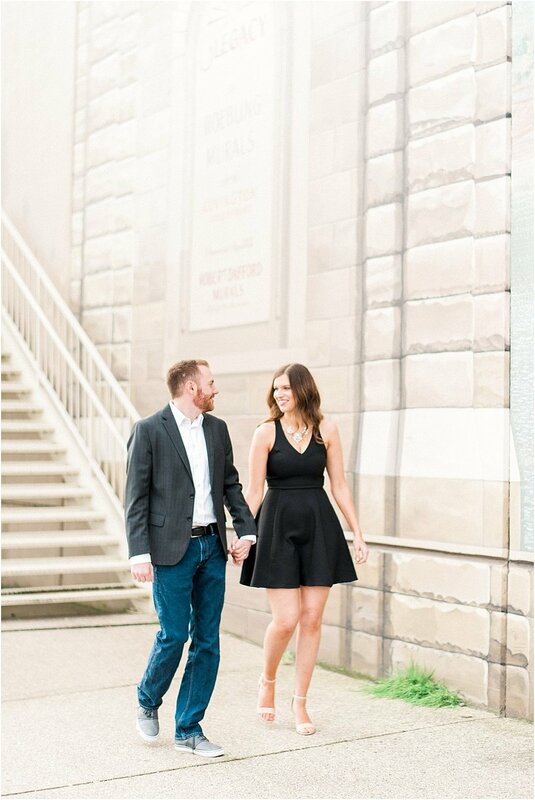 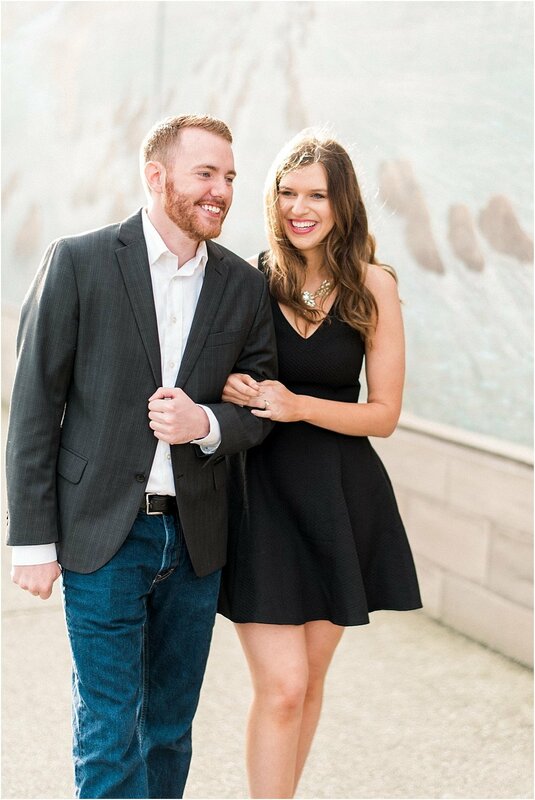 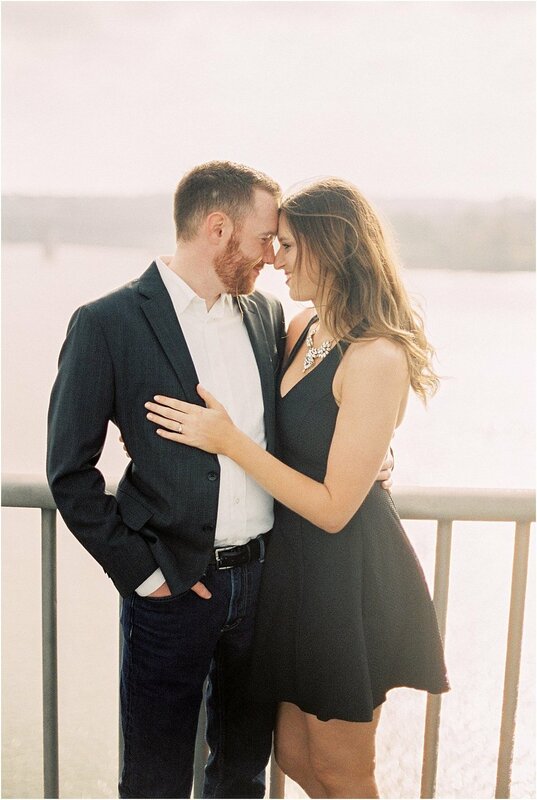 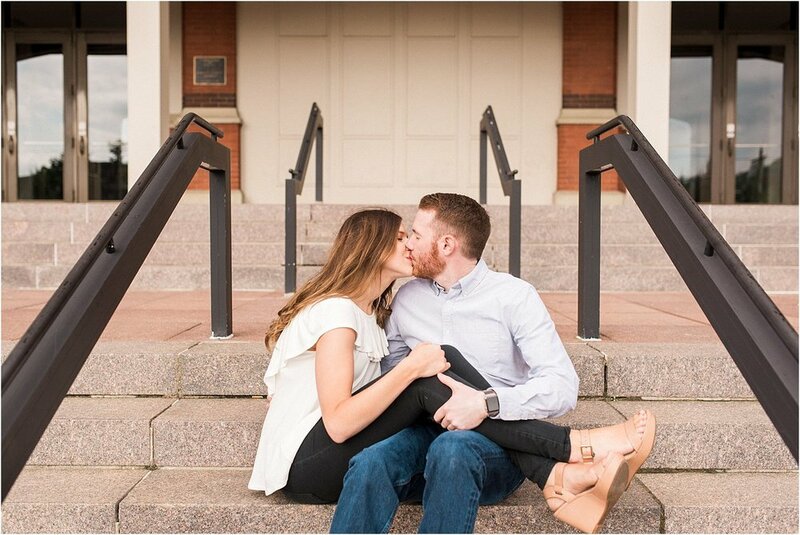 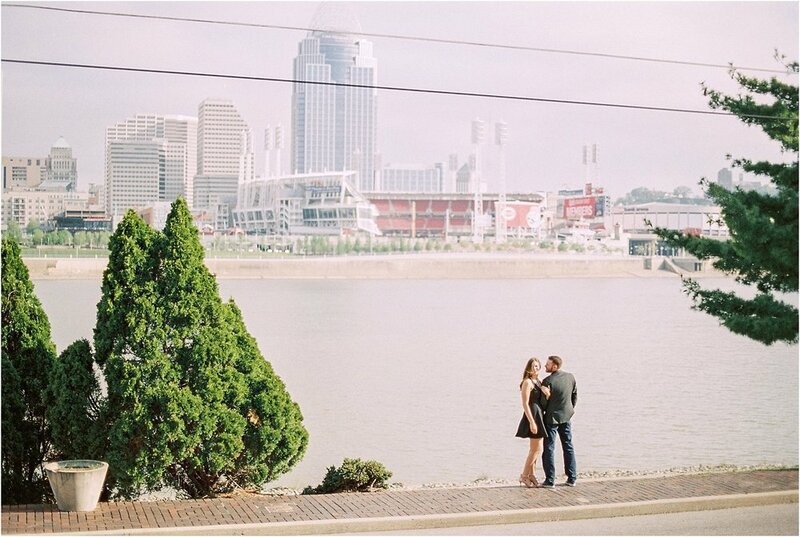 We cannot wait for Amber and Nathan's wedding alongside Norris Lake in August, but for now, we hope you enjoy this Cincinnati engagement.